Take a cruise on the beautiful waters of the Adirondacks in Upstate NY. The companies listed below offer a variety of cruise options, including sightseeing and dinner cruises. Whether you are a local or here on vacation, you will enjoy spending some time on the water, while you sit back, relax and enjoy the area's natural beauty! Enjoy the breathtaking views of Raquette Lake while cruising aboard the WW Durant. 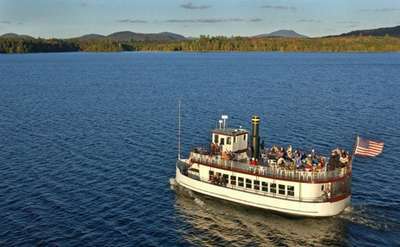 Family owned & operated since 1991, the Raquette Lake Navigation Co. offers a variety of cruise options including brunch, lunch & dinner cruises and special events.